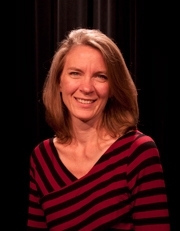 As resident production stage manager for the Virginia Opera, Ms. Kay oversaw many productions including La Bohème, Die Fledermaus, Die Walküre, Elektra, and Tosca. She also stage managed productions of La Fille du Regiment and Carmen with the Cincinnati Opera. Kay was the assistant stage manager on the 2001 Tony Award winning One Flew Over the Cuckoo's Nest which also toured to London’s Barbican International Theatre Event. Other theatre and opera credits include the Kennedy Center for Performing Arts and Arena Stage in Washington, D.C., New York Theater Workshop, Manhattan Theatre Club, Long Wharf Theatre in Connecticut; in Chicago, Steppenwolf Theatre, Northlight Theatre, Apollo Theatre, Court Theatre, Chicago Opera Theatre; Indianapolis Opera, Nevada Opera, and the Nashville Opera. She was a guest lecturer at Virginia Commonwealth University and guest artist at Eastman Opera Theatre at the Eastman School of Music.